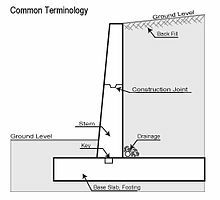 Water that’s allowed to build up behind retaining walls can damage a wall or cause it to give way. Typically, drain lines are installed at the base of new walls before the soil is back-filled. Installing drain lines at existing walls requires labor and equipment to remove the retained soil so the line can be correctly placed. Installing drains in an existing concrete block or wooden timber wall is done by boring weep holes and installing sleeves made from PVC pipe. You’ll see drain wall design examples when we meet with you for an assessment of your needs. Not all drain walls are designed alike. When necessary, Drain Walls are a vital element in proper installed drainage structures around your property. If you’d like more information, and to see drain wall design examples, give us a call. You’ll find out everything we can do to fix drainage issues on your property, please reach out to us. We offer free assessments, and will suggest an on-the-spot solution.